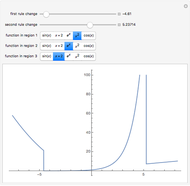 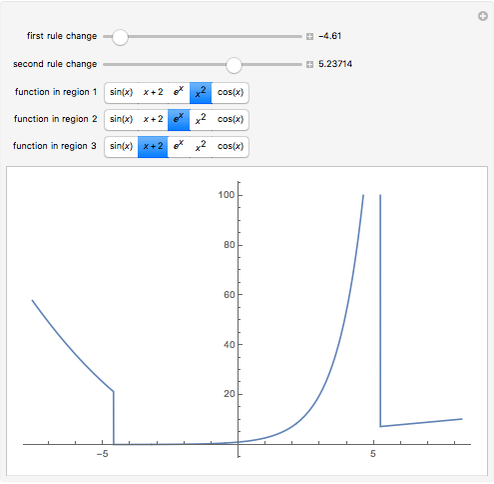 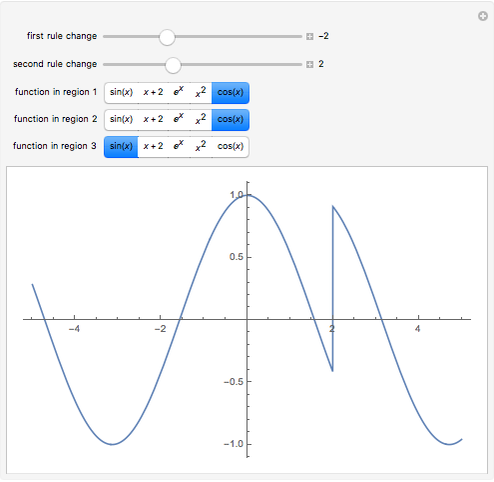 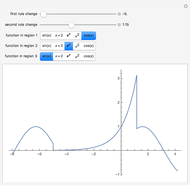 This Demonstration allows you to create a variety of piecewise functions—that is, functions whose output rule changes abruptly from one piece of its domain to another. 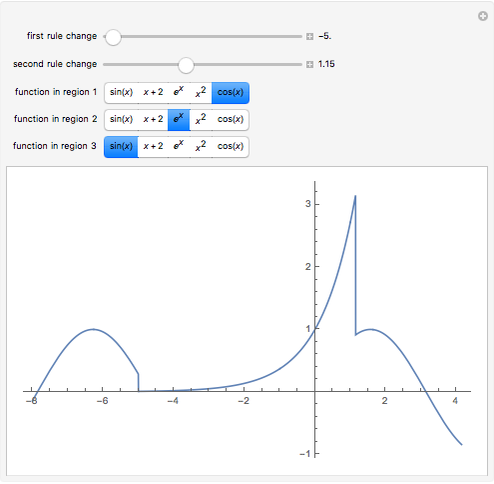 The sliders control where the rules change and the buttons control which output rule is used in which region. 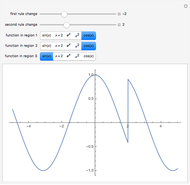 When Is a Piecewise Function Differentiable?